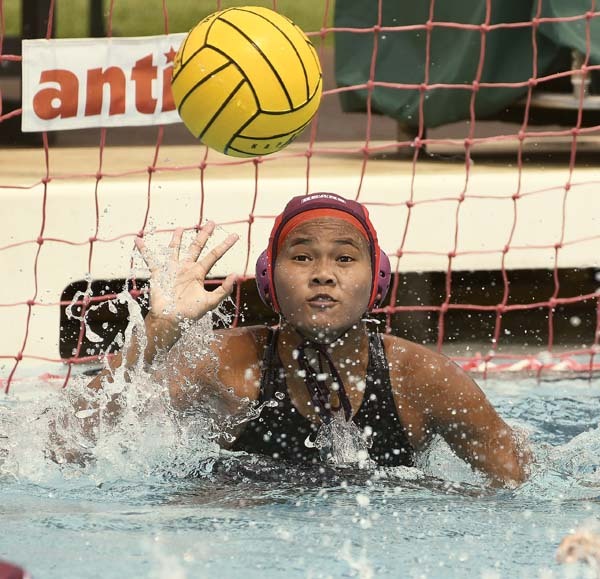 KIHEI — The Baldwin High School girls water polo team capped an impressive run to its second consecutive Maui Interscholastic League title with a 12-0 win over Lahainaluna on Saturday. The Bears finished 12-0 in MIL play and 22-2 overall with their victory in the league tournament championship game at Kihei Aquatic Center. The Baldwin season includes wins over Oahu Interscholastic Association powers Kahuku and Roosevelt. The only losses came to Kamehameha Kapalama and Punahou, the state finalists in seven of the last 10 years, including the last three. In the MIL finale, the Bears were dominant in every aspect of the game, including the rare shutout posted by senior goalie Kiara Espeleta, who will play collegiately at Concordia in Irvine, Calif., next season. “We have the ability to press really hard on defense because I think we have the best goalie out there,” Baldwin coach Shawn Donohue said. “I have yet to see anyone really score on her. Only Punahou was the only team to really challenge her this year. Jacsen Donohue, the coach’s sophomore daughter, scored the first three goals of the match and finished with five. 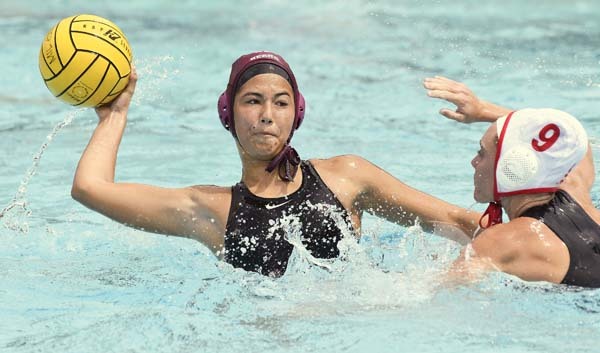 Recent University of Hawaii commit Rebecca Buenrostro-Gallimore added four goals, Hailey Knowles had two and Audrey Reiss had one. “Everyone just stepped it up today, no matter if you were first string, second string, it didn’t matter,” said Buenrostro-Gallimore, the reigning MIL Player of the Year who won two state swimming titles in February in the same pool. “I think we have a lot of potential. Preseason we really showed up and won against teams we don’t usually win against, so I think we have a really good chance at states this year. Hopefully we can go as far as we’ve ever have, further than we’ve ever gone. Espeleta drew praise from her coach and senior classmate. Espeleta said it is easy to play with the teammates she has in front of her. Lahainaluna coach Bradley Mason was impressed. His team nailed down a sixth straight state berth with a 10-6 win over Seabury Hall in Saturday’s semifinals. Baldwin advanced to the tournament championship match with a 16-2 win over King Kekaulike. Goal scorers–Baldwin: Jacsen Donohue 5, Rebecca Buenrostro-Gallimore 4, Hailey Knowles 2, Audrey Reiss 1. Goal scorers–King Kekaulike: Makanahele Emmsley 3, Kualoa Emmsley 1. Seabury Hall: Skylar Lickle 1. Goal scorers–Baldwin: Rebecca Buenrostro-Gallimore 7, Jacsen Donohue 6, Naomi Takakura 1, Audrey Reiss 1, Taryn Sato 1. King Kekaulike: Montana Disegna 1, Taitum Jones 1. Goal scorers–Lahainaluna: Dakota Delos-Reyes 5, Lara Claydon 2, Nikki Zamani 1, Hailey Bogar 1, Ryli Cherry 1. Seabury Hall: Skylar Lickle 3, Sydney Walker 1, Aryana Johnson 1, Eden Lingenfelder 1.